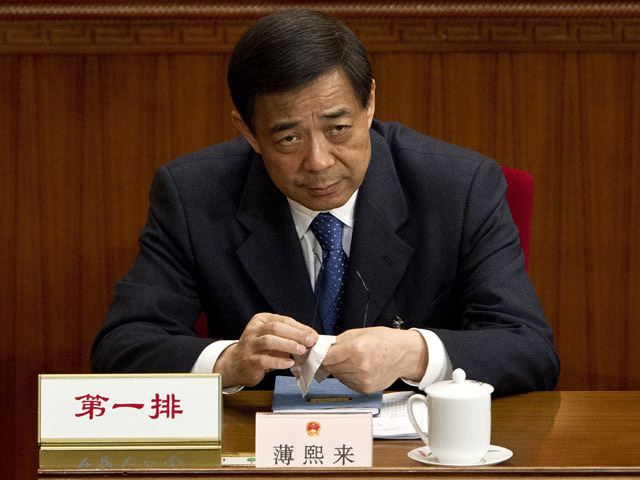 BEIJING Chinese lawmakers stripped disgraced politician Bo Xilai of his last official position Friday, formally expelling him from the country's top legislature and setting the stage for criminal proceedings against the once-rising political star. Though largely a formality since Bo was purged from the Communist Party late last month, his expulsion from the congress removes his immunity from prosecution. That sets the stage for a criminal case involving accusations of corruption and abuse of power. The National People's Congress Standing Committee said it approved a decision to remove Bo as a deputy, but offered no details. Communist Party leaders are keen to resolve the country's messiest political scandal in decades as they prepare for next month's once-in-a-decade transition of power to the next generation of leaders. As the most powerful official in the southwestern mega-city of Chongqing, Bo had been a rising political star and his toppling exposed sharp infighting in the party's uppermost ranks. Bo's downfall has been spectacular: His wife, Gu Kailai, was convicted of murdering British businessman Neil Heywood, and his former right-hand man was accused of taking bribes, abusing power and trying to defect to the United States, among other crimes. Beijing attorney Li Xiaolin said Bo's wife's family has hired him and Shen Zhigeng to defend Bo but the two lawyers are not formally accredited by the authorities to represent him yet. The attorneys had in earlier trials sought to represent Bo's wife and a household aide accused of being an accessory to the murder, but both defendants accepted court-appointed lawyers instead. Chinese authorities have not yet announced specific charges against Bo but in expelling him on Sept. 28, the party accused him of offenses that span more than a decade and range from taking bribes, abusing his power and having improper relationships with several women. Bo is the first Politburo member to be removed from office in five years and the scandal raised talk of a political struggle involving Bo supporters intent on derailing succession plans calling for Vice President Xi Jinping to lead the party for the next decade.